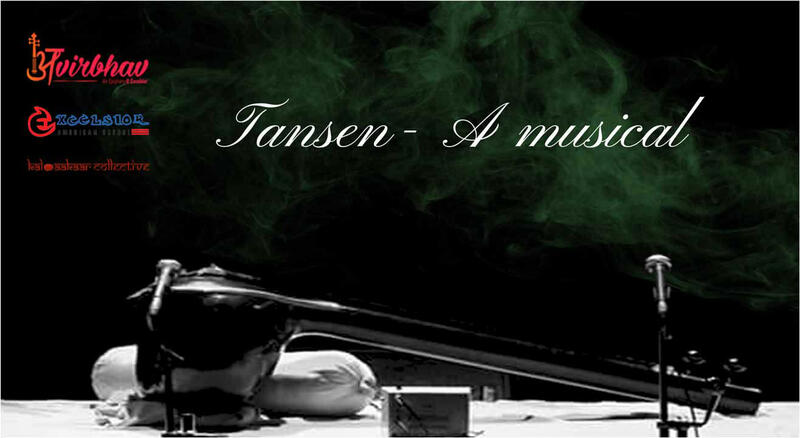 Tansen is a delectable treat of theatre and live music, based on the life of the Legendary singer - Tansen! His life, his longings, his search! The play also traces the journey of Hindustani classical music from its origin, performed in the form of “Dhrupad” till today’s “Khayal Gaayaki” along with live instruments like the Sarangi, Tabla, Pakhawaj, Harmonium and Tanpura. This, mix of music and drama that brings alive the magic of Tansen! Holds an M.A. in Hindustani Classical Vocal from Khairagarh University and a Sangeet Shiromani Diploma from Delhi University. He has performed as the lead singer in the bands Indian Ocean and Sanidhya and is currently the lead singer in the band "Susmit Sen Chronicles" and "Dastaan Live". He has been the music director for many films like Rajula, Well is Well, Wapsi (short film), The Fourth Idiot, and Hello India. As an actor he has worked with leading productions of Company Theatre and has performed lead roles in about sixty plays including Atul Kumar’s Piya Behrupiya and Khwaab Sa, Dhruvswamini, Kabira khada bazaar mein etc. He has been awarded with the Best Director Award at All India Theatre Festival in BITS Pilani, the Best Actor Award at B.V. Karanth Theatre Festival in National School of Drama and also the Award for the Best Singer of Uttarakhand. Ridhima Bagga is Professionally trained in Kathak for sixteen years, and is a graded Artist of Doordarshan. She completed her training in Kathak from Kathak Kendra, under the tutelage of eminent Guru Pt. Jai Kishan Maharaj. She has performed extensively in major Dance festivals all over India and has also represented India in International Dance Festivals in various countries including China, Kyrgyzstan, Brunei and more. As an actor, she did her first play at the age of ten and since then she has been performing lead roles in the productions of many theatre groups like Parvatiya Kala Kendra and with eminent directors including Shri Prem Matiyani, Shri Lokendra Trivedi and Shri Suresh Sharma. Mohd Faheem is an inborn artist with immense knowledge of theatre and heartwarming poetry. He is an acclaimed actor/director in innumerable plays in Hindi as well as other regional languages and also holds an M.A. in Theatre Studies from Shiv Nadar University and a graduation degree in Arts. A promising singer since college days, he has won many awards. He has worked in many plays including Kabira khada bazaar mein, Waiting For Godot, Karmev Dharmah, Pascualnama, Mahal Sara, Dilfarosh, Julius Ceaser, Ek aur Durghatna and has conducted many Theatre workshops. Is this show child friendly – Yes it is.